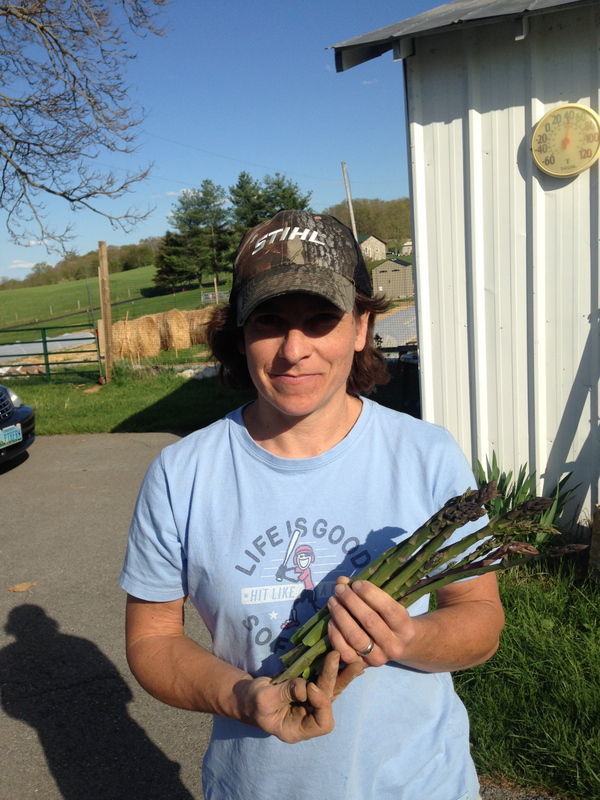 Here was our first harvest over the weekend…so sweet and tender, I ate a few raw. Deeeeeeelicious! Love asparagus! Ours is producing like mad after the Easter weekend meltdown. Found a recipe for Roasted Asparagus & Raspberry Dipping Sauce. I am gong to be adventurous and try it today. Oh! That sounds very good. We are going to enjoy ours tonight. Probably steamed or may be grilled. Accompanying a beautiful cod filet that Jordan bought.